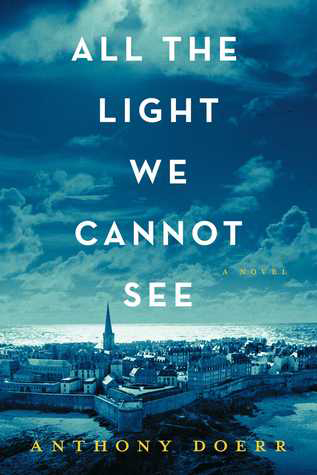 All The Light We Cannot See, by Anthony Doerr, is at the top of many ‘best of the year’ books and was a recent pick of our book group. The general consensus was pretty much total adoration for many reasons. The novel is lyrical, rich and original in approach. Although most of the story takes place during that much-written about period of World War II, it is told from the perspective of a blind French girl, Marie-Laure, and a German boy, Werner, who is being groomed for the ranks of Hitler youth. The war rumbles in the background and eventually erupts into the lives of these young people but the focus remains on them, their thoughts, feelings and growing awareness and maturity. The descriptions of Marie-Laure’s tactile sensations are astonishing passages originating from a writer who clearly has had no such personal experience. Werner’s fascination with nascent technology and its ‘magical’ qualities is described with an absorbing meticulousness. Many of the supporting characters are intriguing and complex and add delicious layers to the story. The author explores how and why we make certain choices in a thoughtful and moving manner. The boys being prepped to join the horror of Nazism are presented as children who are trying hard to please their elders. Marie-Laure and her family and friends are caught up in surreal and terrifying situations and react in human ways – sometimes predictably, sometimes not. This dexterity impressed me and the rest of our group. But even with all these marvelous literary elements, the group and I did part ways on some points. Marie-Laure and her father are fascinating and brilliant but a little too saintly for my taste. Her father – giving Atticus Finch serious competition as the ideal parent – is a little too perfect and unrealistic. He’s almost wizardly in developing puzzles and lock-boxes to test his daughter’s skills and independence. We never get an insight into what must have been a terrifying situation for a single father trying to help his child survive. (Not to be impertinent, but there were shades of Amélie in the staging of the mazes and riddles that he creates.) This fable sort of story telling extends to the supporting cast of characters including the loving housekeeper and the eccentric, reclusive uncle. As for Marie-Laure, she embodies a martyr-like quality that becomes more palpable as the novel progresses. Also, in spite of the novel’s lyricism I found it long, the impact of the poetic passages lost in repetitive, sometimes overwrought descriptions. Of course, among the group, I was in the minority and when I raised these concerns I was roundly overruled and did not persist. I would still recommend the book (and already have to several friends). I must confess, however, I was gratified when a member of the group emailed me the morning after our discussion to say that she finished the last few pages of the book after we left and, upon reflection, also found Marie-Laure somewhat ‘saintly’. The most resourceful member of our book group had family holiday photos of Saint-Malo, the walled city in Brittany that figures prominently in the book. 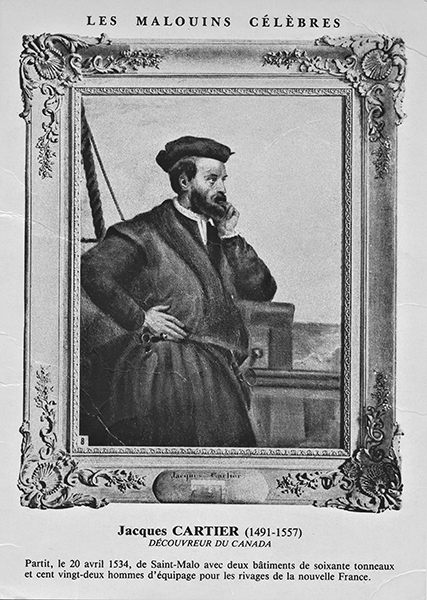 Also, she brought a souvenir postcard commemorating one of its claims to fame – Saint-Malo is the port from which Jacques Cartier sailed west across the Atlantic and ‘discovered’ Canada.